Ahead of the theatrical release of 'Baahubali: The Conclusion', 144 Section has been imposed in Bhimavaram Town as a precautionary measure. This is a move to prevent any untoward incidents from happening in the town. Two years ago, Fans had set up large cutouts and flexis on the eve of Pawan Kalyan's birthday. Few unidentified people had burnt few of them over night. 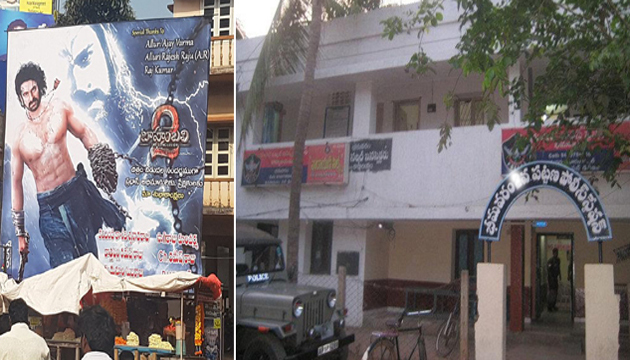 Annoyed with it, Pawan Fans began targeting the houses of people whom they suspected to be involved in it. This situation eventually led to a battle between Pawan Fans & Prabhas Fans. Following which, 144 Section was imposed to bring the situation under control. Local MLA intervened in the issue and asked fans not to indulge in such disgraceful activities. As 'Baahubali 2' is releasing Tomorrow, Police Department is on high alert and all the necessary measures have been taken. Hopefully, There won't be a repeat of what happened in the past.